Do Homeowners Need Life Insurance? If you own a home you may be wondering if you need life insurance protection. The answer will depend on your current situation. If you own your home without a mortgage, you may not need life insurance. But, you may need some life insurance protection if you have a mortgage and others rely on you to pay that mortgage. If you have a significant other, fiancé, spouse, child, or other family member, who relies on your financial support to contribute to paying off the mortgage on your home, then you may need life insurance. The proceeds from life insurance policies may be used by your beneficiary for any purpose, including paying for your burial, funeral and other final expenses, paying off medical bills, paying down credit card debt, and paying monthly living expenses for your family including mortgage payments. If you were to pass away, how would your family make the payments on the mortgage loan? Would your family have to sell the house in which they created so many wonderful memories with you? Do they have enough money to afford paying monthly rent? What about moving costs? 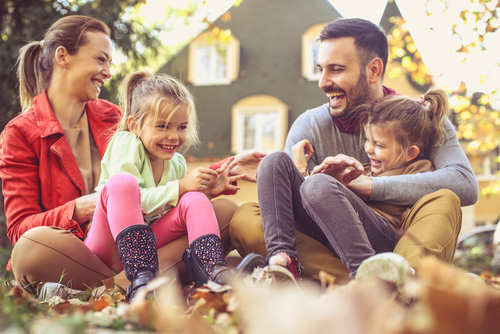 Many homeowners choose to purchase life insurance to protect their home and family. What Type of Life Insurance for Homeowners? Which type of coverage will provide you with the protection you need for your home and family? The most affordable, flexible type of coverage is level term life insurance which provides you with the option of choosing protection that will last for a "term" of 10, 15, 20 or 30 years. As a homeowner, you select a term (duration) for your policy that matches the length of your home loan. So, if you have a 20-year home mortgage loan, you would buy a 20-year level term life insurance policy. And, the amount of insurance you need would match the amount of your outstanding balance on your home mortgage loan. So, if you owe $250,000 on your mortgage, you would purchase $250,000 of mortgage term life insurance coverage. And, if you pass away during the duration of your policy term, the death benefit proceeds are paid out to your beneficiary (for example, Your Spouse) and your beneficiary can use the money to pay off the mortgage loan on your house, so your family can remain in the home they shared with you.